So of course I immediately played with it and was so excited to let Rain play with the balloon (I'm in charge of making it of course). 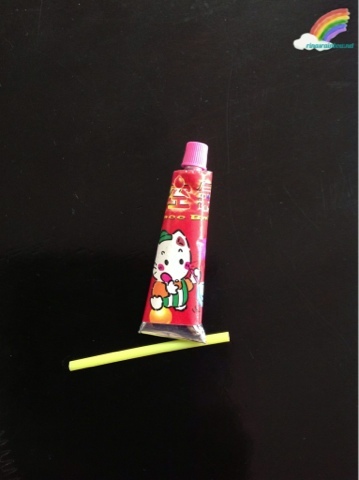 I shaped the plastic paste into a bulb on the end of the plastic straw using my mouth like how we did it way back then hehehe. Could it be toxic? I'm not sure but I'm still alive so I guess that's a good sign. Voila! 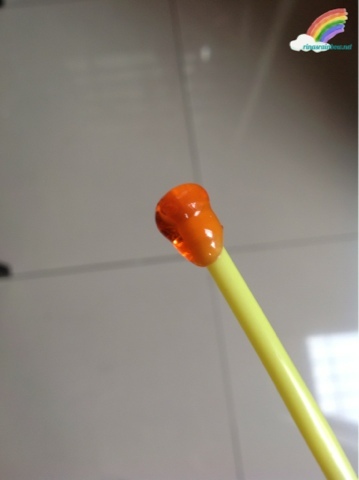 After X years I again made a plastic balloon!!! Rain was amazed as well! 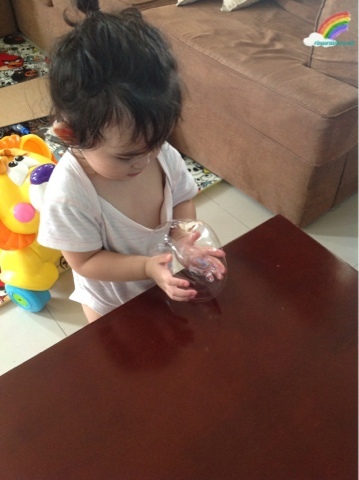 I had to keep reminding her not to get gigil with it. But of course I couldn't stop her. I miss playing with plastic balloons too! Grabe! Time flies so fast. 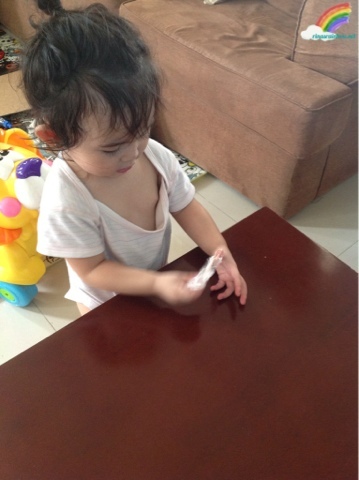 Anyway, ang cute ni Baby Rain! :D Talagang nanggigil with the plastic balloon! She looked amused too when it popped! I want to look for more nga eh hahaha! 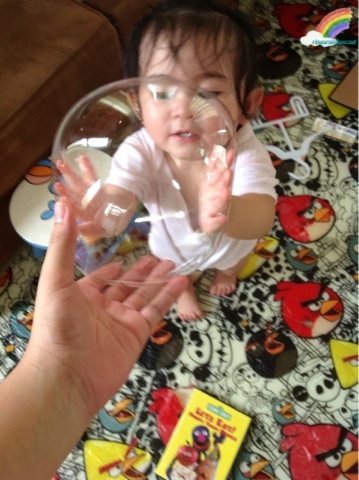 nako super gigil nya i couldnt stop her from popping it hahah! I remember buying a lot of plastic balloons almost everyday because our apartment was beside a public school, hence maraming tindahan ng plastic balloons. haha.